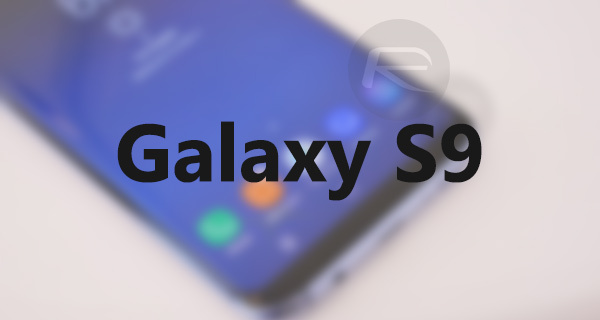 Samsung Galaxy S9 Specs, Features Confirmed After Retail Packaging Leak? Samsung executive DJ Koh has already confirmed that his company will officially unveil the Galaxy S9 and S9+ smartphones at next months Mobile World Congress (MWC) in Barcelona. 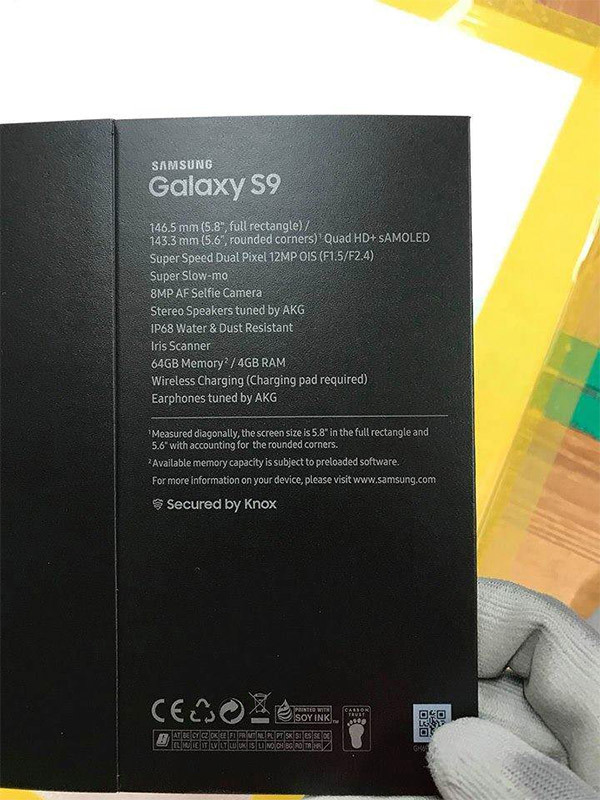 Now, ahead of that reveal, we are also seeing what could potentially be our first glimpse at the S9’s retail packaging, which gives us an early insight into the technical specification of the device. The unconfirmed image shows the rear of what is purported to be the official retail packaging for Samsung’s new flagship. The top corner of the box is clearly marked with “Samsung Galaxy S9,” and then carries on to give a list of the main focal points of the device, confirming that Samsung’s new hardware will ship with a 5.8-inch full rectangle QuadHD+ sAMOLED display. Of course if you take into account the rounded corners, you get 5.6-inch as stated on the box as well. There will also be a SuperSpeed Dual Pixel 12-megapixel rear-facing camera with integrated optical image stabilization (OIS) with a variable aperture. That camera will offer super Slow-mo video recording as well as coming with an 8-megapixel forward-shooter complete with autofocus functionality. But that’s not the best bit, the primary lens is stated to pack an f/1.5 aperture. This could mean really good things from a photography perspective. From an audio perspective, the information on the leaked box suggests that the hardware will come complete with stereo speakers and accompanying earphones professionally tuned by AKG. There is also mention of an embedded iris scanner but no mention of the fingerprint scanner which is predicted to move into a more central position on the rear of the device. Some Galaxy fans are clinging to the hope that Samsung will have managed to embed the fingerprint detection under the display but that is still a huge area of contention. Finally, the retail box also confirms that the Galaxy S9 – and presumably S9+ – will offer IP68 certification against water and dust ingress as well as 64GB of internal memory and the inclusion of 4GB of RAM. The device will also be secured by Samsung’s own Knox security features, which is proudly displayed on the rear of the box. As mentioned, this is an unconfirmed packaging leak at the moment with no real knowledge or source provided. However, aesthetically speaking, it looks legit and seems to confirm a lot of what we already knew and were expecting where Galaxy S9 is concerned. It’s only a matter of weeks until we get this information direct from Samsung. I think i farted ?? ..and is half as powerful as the X. Some “flagship” device. Why do we need that fast CPU (X) if don’t open apps or do tasks faster? I’m very disappointed with 64gb of ram. Surely a flagship phone in 2018 should be 128gb by now. For comparison, my old iPhone 4S from 2011 has 64gb. I really do hope the 64gb is the base model and others will be available. If not il stick with the s8.